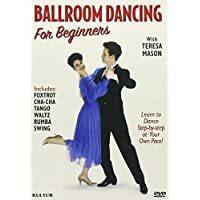 In this video blog (Vlog), we feature seven dance video clips of American rhythm ballroom dancing by top dancers in the world. 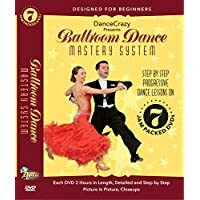 In addition, we included video clips of each of the five ballroom competition dances including East Coast swing, rumba, cha cha, mambo, bolero plus an American style samba. Our first pick was a cha cha with Tony Dovolani and Sharna Burgess dancing at the BMA Foundation Dancing with the Stars 2015. Tony Dovolani and his professional partner, Elena Grinenko retired as the United States American rhythm champion in 2008. In this dance video clip, he is dancing with Australian rhythm champion, Sharna Burgess. In these dance video clips of American rhythm ballroom dancing there are dozens of great ballroom dancers. Moreover, these dancers compete at conventions almost every weekend during the year. These video dance clips were chosen for these particular dance performances. Additionally, some of the partnerships have been together for years and other are fairly new partnerships. Furthermore, all are outstanding dancers, performers and choreographers. In addition, many top professionals attend the premier ballroom dance convention, San Diego Ballroom Beach Bash held annually in San Diego, California.